Looking for the top Halloween Events in Lake Havasu City in 2017? Good news! We've compiled just a few of the big events and activities happening this All Hallow's Eve! 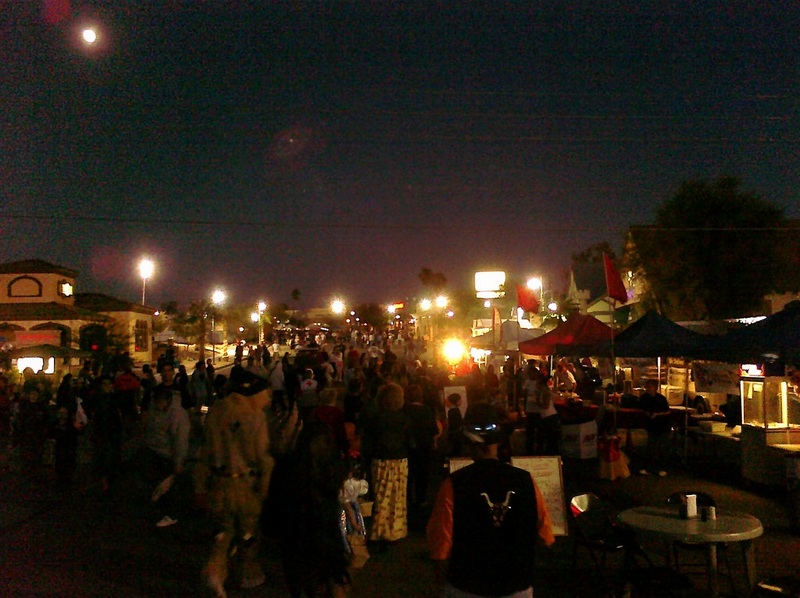 All year round Lake Havasu City has events to please the younger 21+ crowd, the kids, the parents and the more seasoned 50+ crowds--Halloween is no exception! So if you're in the MARKET for fun this Halloween weekend be sure to check out the list below ...and if you're in the MARKET to buy or sell a home in Lake Havasu City, give The COLLINS TEAM of Realty ONE Group Mountain Desert a call, too! WHAT: Activities include games, fishing, pumpkin patch, scarecrow contest--benefiting the Lake Havasu Firefighter Charities. WHAT: A night full of free candy, an inflatable fun zone, games, prizes and even The Knack's Human Pinata. Also, a walk down the Haunted Hallway to watch a Halloween movie! WHAT: An evening for families to enjoy safe and fun activities, prizes, games, candy and a haunted house! Free trick or treat bags for the first 100 kids! WHAT: Local little monsters and ghosts will be trick-or-treating and collecting their candy from Main Street Businesses. There will be plenty of food, activities and beverages (both adult and otherwise) to be enjoyed as well as local restaurants and bars will be open for the "grown up" trick-or-treaters. Nothing catching your eye? Check out a more comprehensive list from GoLakeHavasu.com here. Have a happy Halloween and be sure to guide your kids to trick-or-treat at the "for sale" homes you see ...let's just hope they aren't haunted!